Looking for the best cocktail bar in a city like Shanghai is not an easy job, with the city drinking culture improving faster than you can imagine, and many potential good choices for a proper sip. In the city of records, several bars claim they have the best view, the bigger cocktail menu, the highest terrace. The M1NT bar claims for example, in its website, that “Breathtaking views, outrageously funky music, hip furniture, first class service, succulent snacks and simply the best organic cocktails combine to make M1NT’s Lounge the envy of the industry“. And, believe me, that’s true. This bar is unique for a few reasons: it is a “shareholders club” counting on some 100 members (but it is open to everybody) who pay a yearly fee to get privilege access and the best tables, it has a 10 meters aquarium filled with (real) sharks, it gets together a lounge bar, a great restaurant and a club that is said to be the best in town. 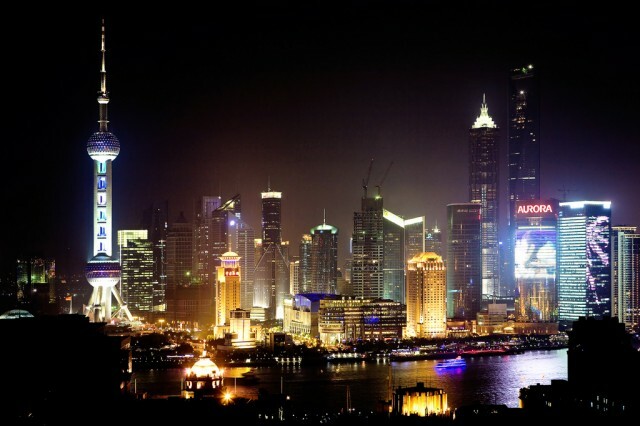 Further, it has an amazing view in the Pudong skyline and – last but not least – it fixes some fantastic drinks. Head bartender Helmut Rossler and his team can get you the best martinis you can expect, and much more (do not miss the bloody mary!). The lounge is chic and reasonably expensive, but every penny is worth for the view, the crowd, the place, the food, and the drinks. Well done. Classic Martini rate: 9/10. CategoriesBest Martini Bars, Innovative, Martini bars, Shanghai, Skybar, Unique!